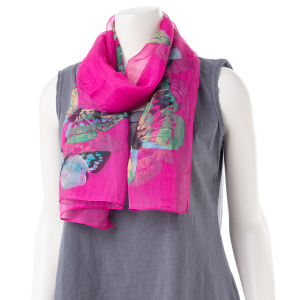 Sora S9213 Women's Butterfly Print Scarf Butterflies are free to fly, flyaway. Such a lovely light and airy scarf. It will flutter about your neck, adding color and style without adding bulk. Sora S1236 Women's Faerie Rose Lily Flower Fruity Scarf Fruit and flowers, so Springy, so delish! 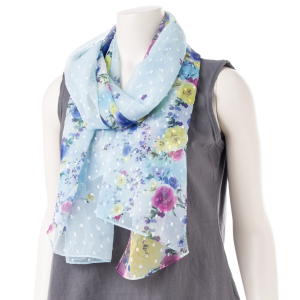 Make a statement that Spring has arrived when you pair this pretty scarf with your favorite outfit.